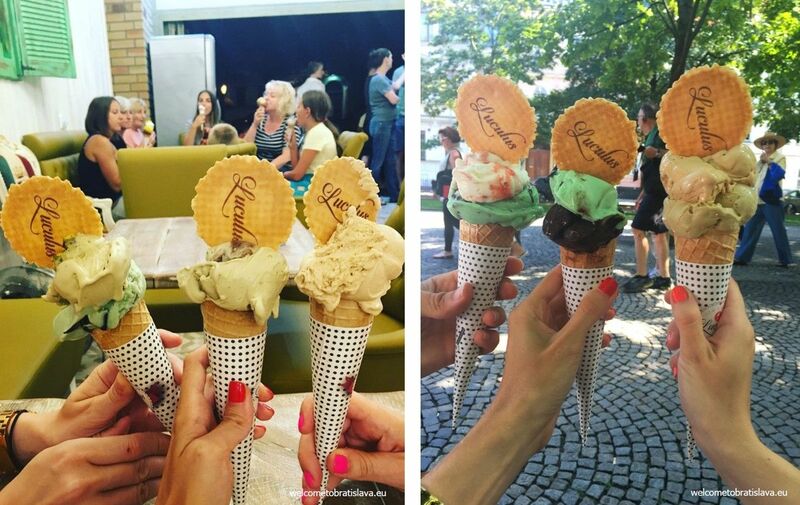 Where shall you have your gelato in Bratislava? 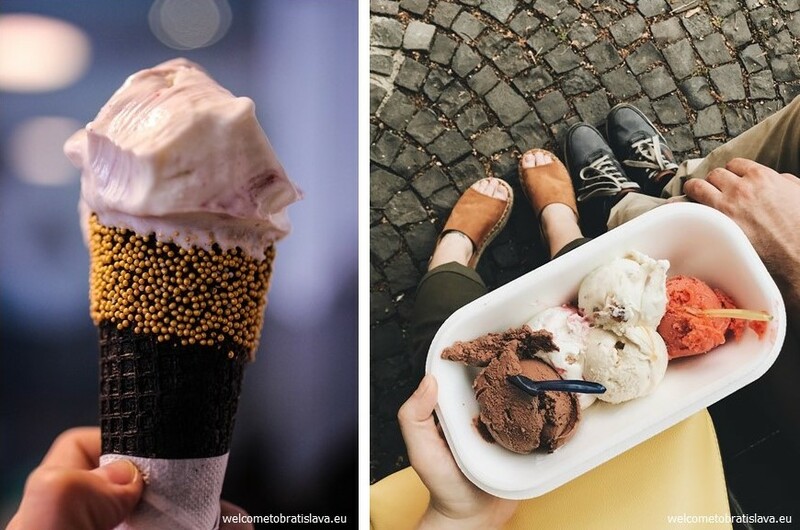 Which places are those that don’t just sell ice cream but are visited and praised because of it? We are revealing our top and only spots which we go to when we feel like having one or more scoops of that amazing treat. 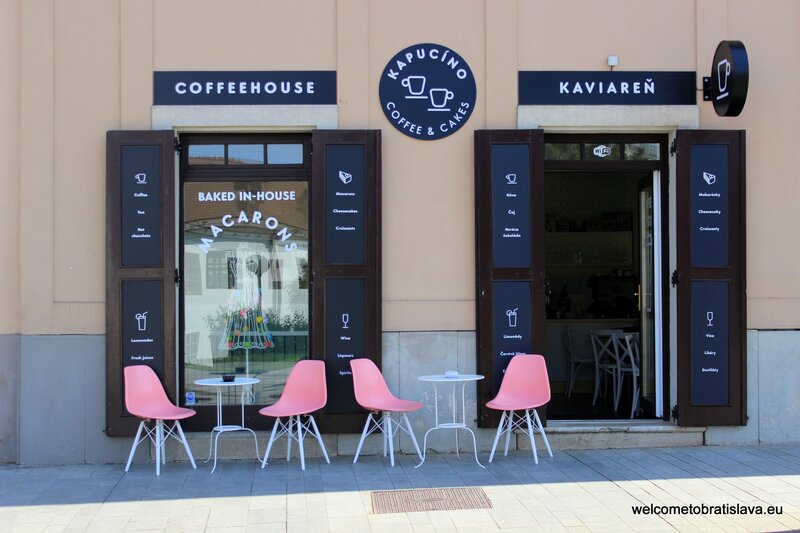 Koun used to be situated in the historical center – in a small closed yard with older balconies and flowers – so you really felt like somewhere in Italy :) It moved in August 2016 to a new address, still in the city center. It is the first place we know about to serve brioches as well (very typical for Sicily mainly – and very tasty!). You can also have fruit sorbets or bio lemonades. One thing to mention here is that there is always a huge line of people waiting for their scoop so you’ll most probably need to wait to get your treat – it is however worth it :) Bon appetit! 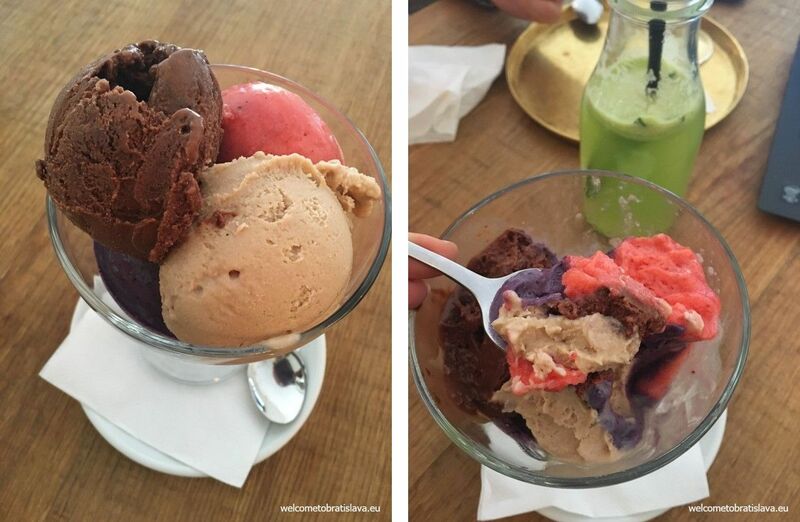 Luculus patisserie is known mainly for its ice cream, then goes the coffee and the desserts. 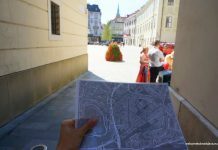 It is located at the Hviezdoslav’s square in the city center so most of the times there is a long queue of people waiting to get their sweet treat. The owner of this place has been mentioned in the book of Slovak records after he managed to put 150 scoops of ice cream on one single cone. Arthur’s ice-cream is a small shop on Laurinská Street, serving the smallest (and cutest) pancakes in the winter season and delicious ice-cream in the summer season. You will not miss it thanks to the elegant branding and stripes decorating the walls inside. And what is the ice-cream here like? The first three letters of its name already suggest the answer – ARThur’s ice-cream is simply an art! Long queues prove this ice-cream is very popular. It tastes very authentic, with intense flavours. Having said that, try any of their fruit vegan sorbets – genuine fruit flavour is guaranteed! We also loved their Salty Caramel! 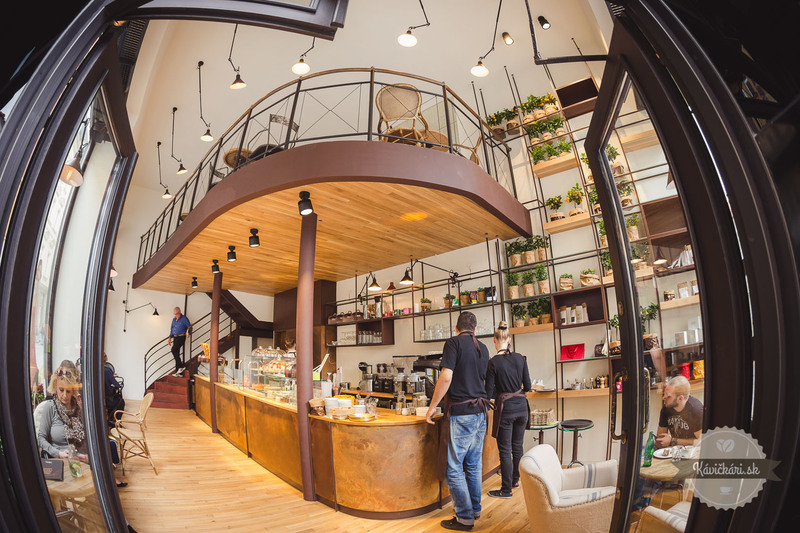 And they are the only place in Bratislava that has crazy combos such as Black Sesame, Detox Black Coconut or the Golden Noughat with 23,75k gold leaf, all served in the black cones! This ice-cream place is fairly new and already made it to the list of top ice-cream spots for us. Why is it so? It offers wide range of very original and authentic flavours and is not afraid to experiment with them. They serve gelato not with scoops but by spatula. The portions are really big – we had problems finishing our usual 2 scoops. The texture of ice-cream is great, vegan sorbets taste wonderful and creamy flavours are indeed creamy. There are quite many seats inside as well as outside, so you should have no problem to find a place for yourself. If you feel like having something unique from the ice-cream category, then definitely go for these wonderful fruity popsicles. Their natural taste full of fruits with refreshing and energizing effect will bring you pleasure from the very first moment. Marinela is a tiny gelato place close to the Blumental church. 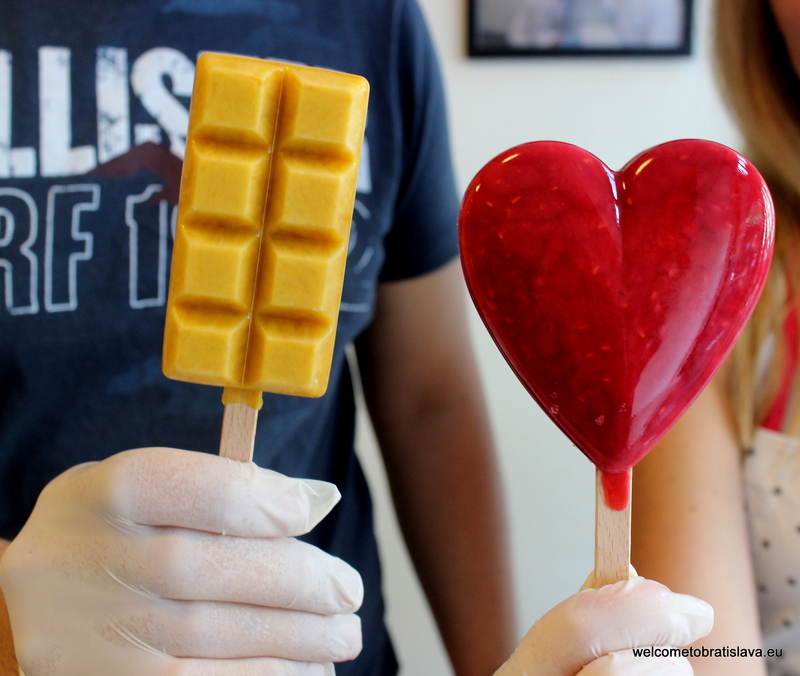 It makes its customers smile with originally shaped popsicles and gives them their daily fruity boost. Only the fruits account for the richness of colours, with no artificial flavours added. 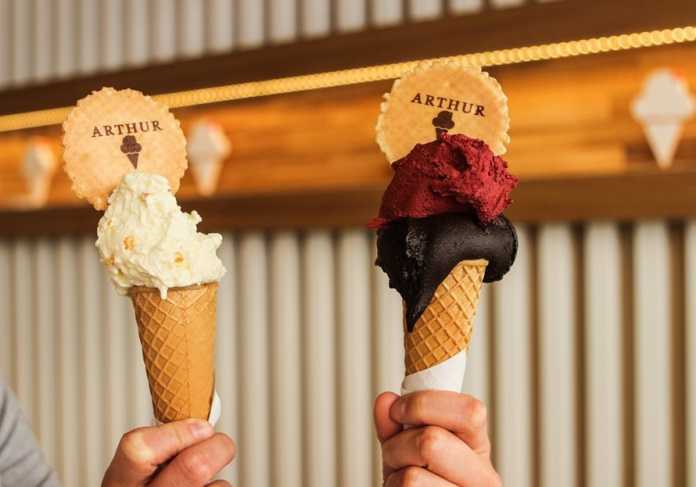 The suppliers of the ingredients are carefully chosen and the owners, a likeable couple who graduated from a Gelato University in Bologna, follow the latest gelato trends by attending international fairs. You can choose from different shapes and sizes. Our favourites were mango and raspberry popsicle but you can also have a grapefruit, strawberry, coconut, kiwi or a peach one. Each day you can leave a vote for the fruit of your preference and the one with the winning number of votes will definitely be on the menu the next day. 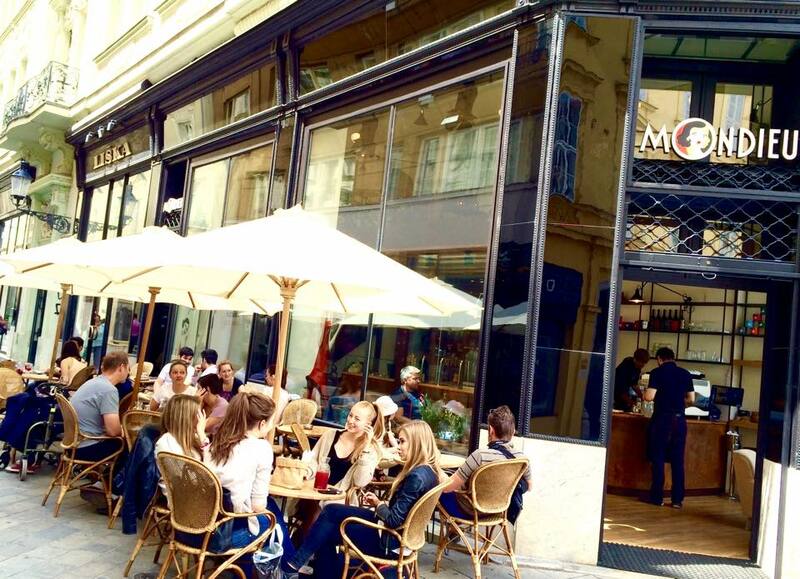 Mondieu has 4 branches in Bratislava but the ice cream is available only in 2 of them – Mondieu Laurinská (city center) and Mondieu Bory Mall (shopping center in Lamač neighborhood). 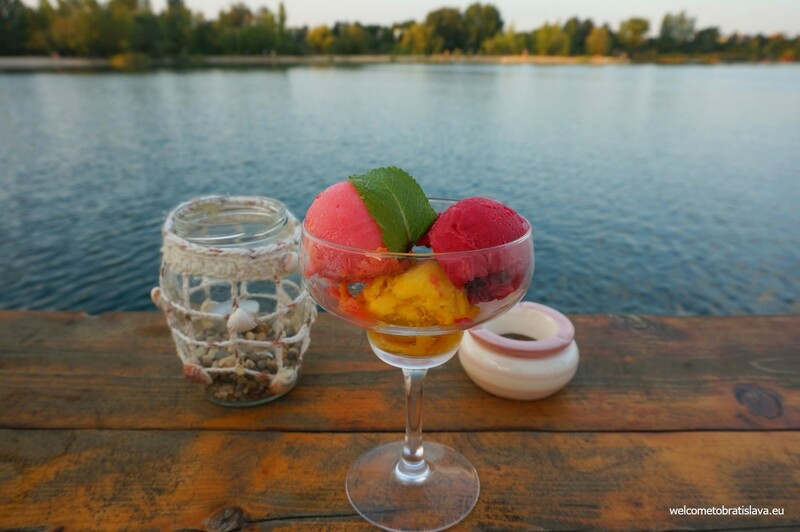 In this very special restaurant, you can have home-made sorbets prepared from fruit that is grown locally (with an exception of exotic fruit). The flavors they offer are raspberry, lime, mango, watermelon, pear or blackberry, and there are always 3 on the menu to pick from. 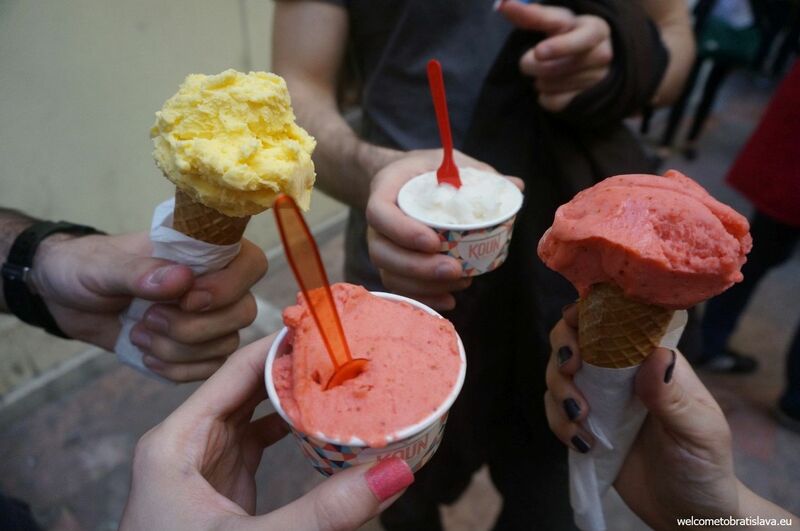 All sorbets are gluten-free and lactose-free. Our absolutely favorite one is mango. This place with its Cuban music, Hawaiian style and own small Tiki beach is a small holiday paradise only a few minutes ride from the city center and will enrich your stay in our city the way you would not expect it. 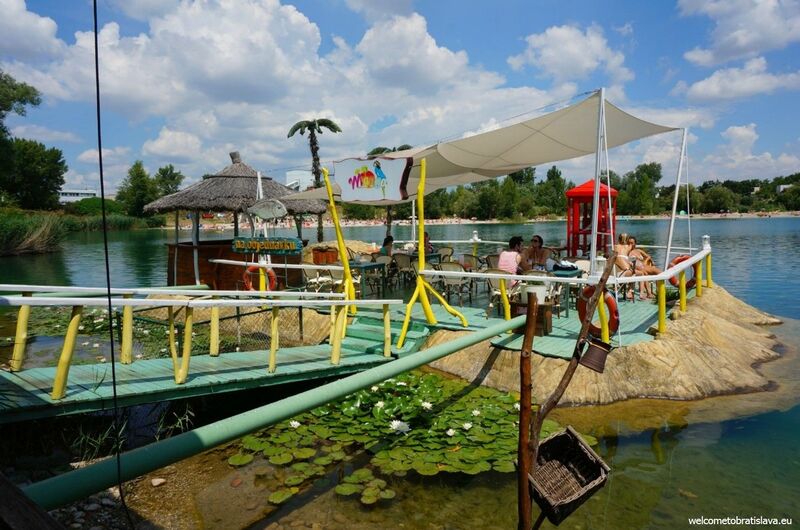 It is located at one of the 3 lakes a few kilometres away from the Bratislava centre, a part called Dunajská Lužná. The lakes are named Košariská. 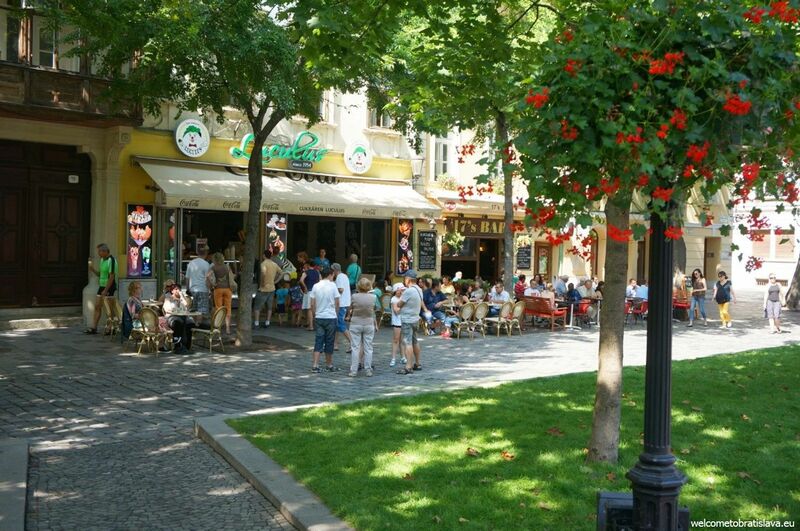 It should definitely be on your wishlist once you are in Bratislava, especially in summer! 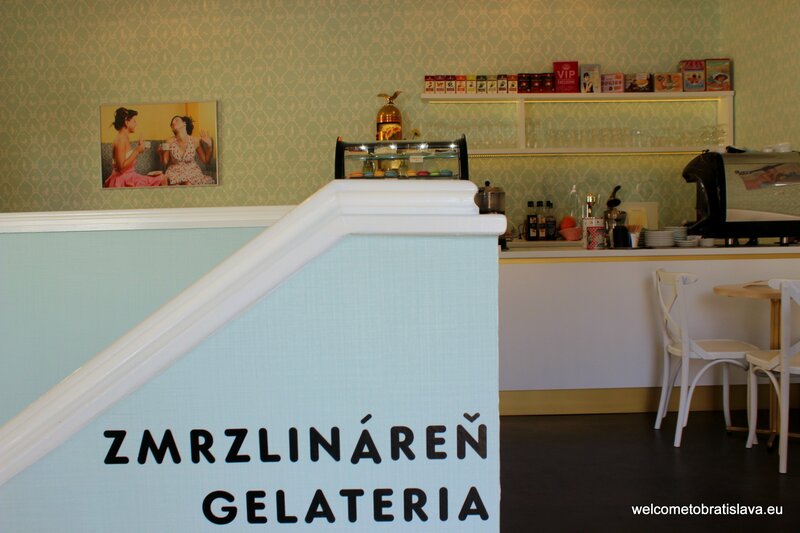 The Cremeria Milano brand, which this place represents in Slovakia as a holder of the trademark, is a symbol of the highest quality in the ice cream world. 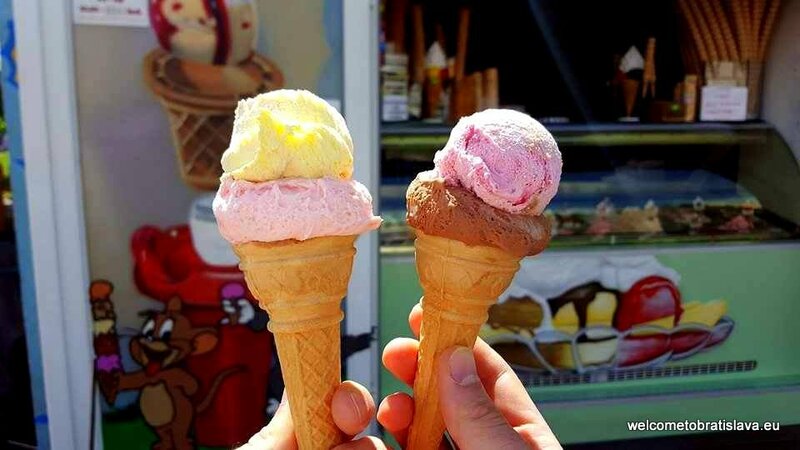 That means that you will enjoy this ice cream if you like rich tastes and finely mixed ingredients – they use only fresh ingredients and that is why you can be sure that strawberry ice cream is really made of strawberries, cottage cheese ice cream is made of cottage cheese, etc. Doesn’t sound bad, does it? 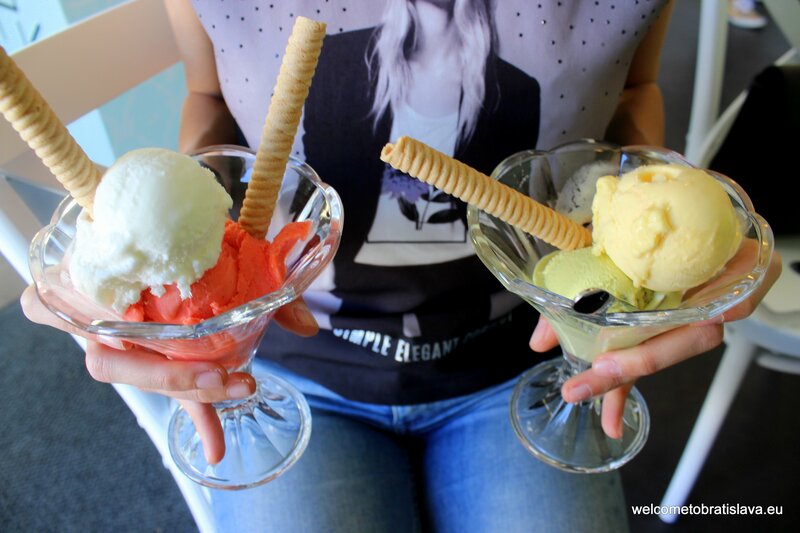 :) At Cafe Cafe, you can choose from milk ice creams or fruit ice creams (sorbets), and it will not be easy – they offer 32 different flavors! 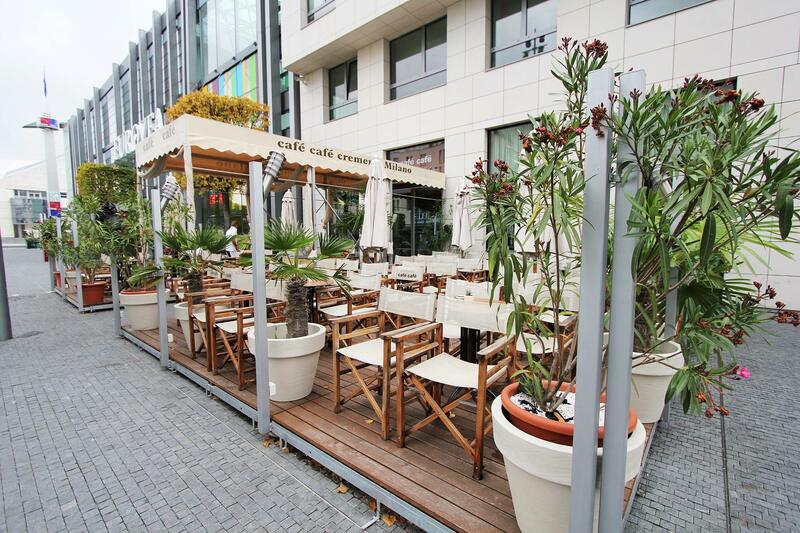 Cafe Cafe is conveniently located in the Eurovea shopping mall (the building with the Cinema City and McDonald’s) – and has a beautiful terrace in summer. 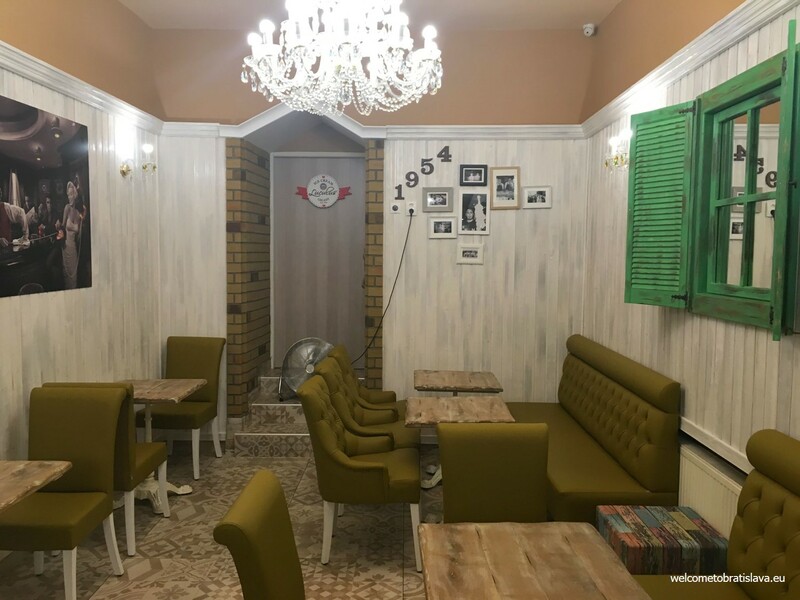 This ice cream shop has a good location in the municipality Ruzinov. It stands opposite to the Ruzinov hospital. There is a charming small park closeby which makes the scenery perfect. 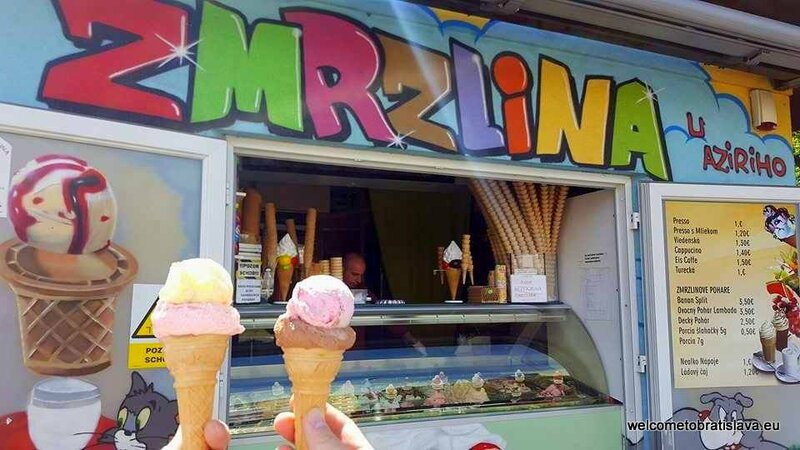 Aziri’s ice cream is very popular among locals. It has a tradition of over 15 years and many say that it used to be the best ice cream shop in town. 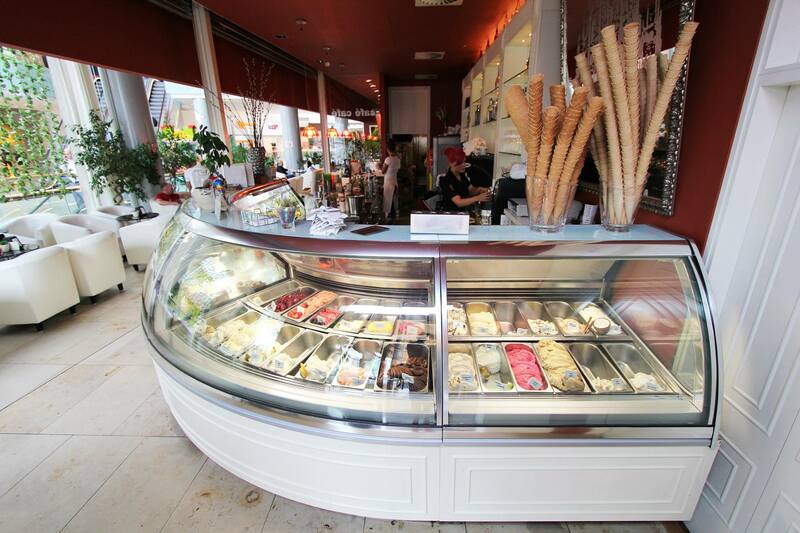 You can expect creamy, traditional Adriatic ice cream for a good price. There is also a small terrace, however we recommend to take a stroll or sit down in the nearby park. 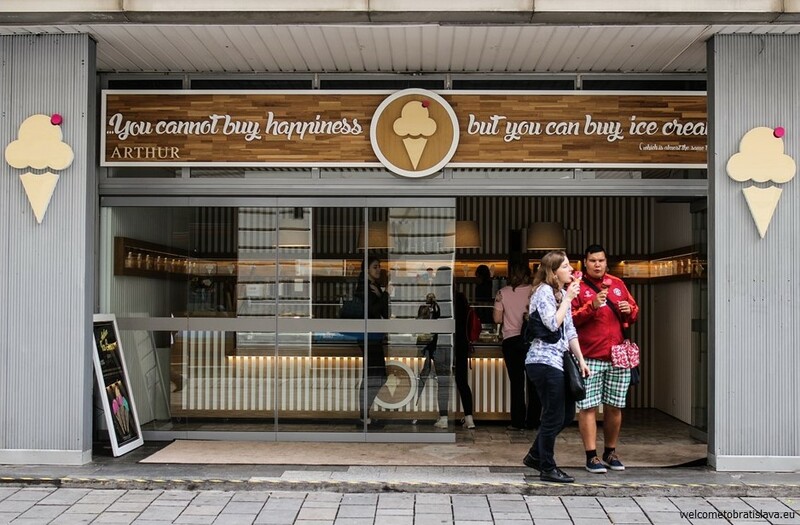 We think that during the past years, plenty of more original ice cream places have opened. However, if you are in this area and want to have a scoop of ice cream, you cannot go wrong with this place! Whichever place you choose to visit from these, you surely will like what you get – enjoy! 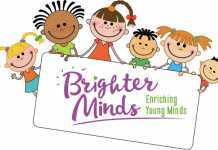 The blogs are really appreciable and one can trust the knowledge and information provided in the writing. The article you do produce on a weekly base really the best. 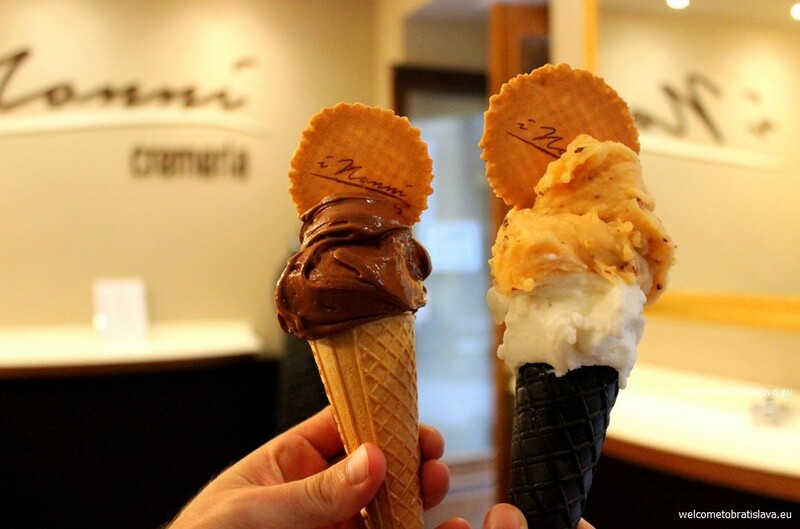 I have found a similar website visit the site to know more about gelato sales. Thanks for the feedback, Prince – glad you find the website helpful! You missed the one at Eurovea (beside Marks and Spencers). Real Italian style, with delicious creamy ice cream. The service goes up and down. The most attractive ice cream girl is usually scowling but most of the others are nice. The coffee is excellent as well. 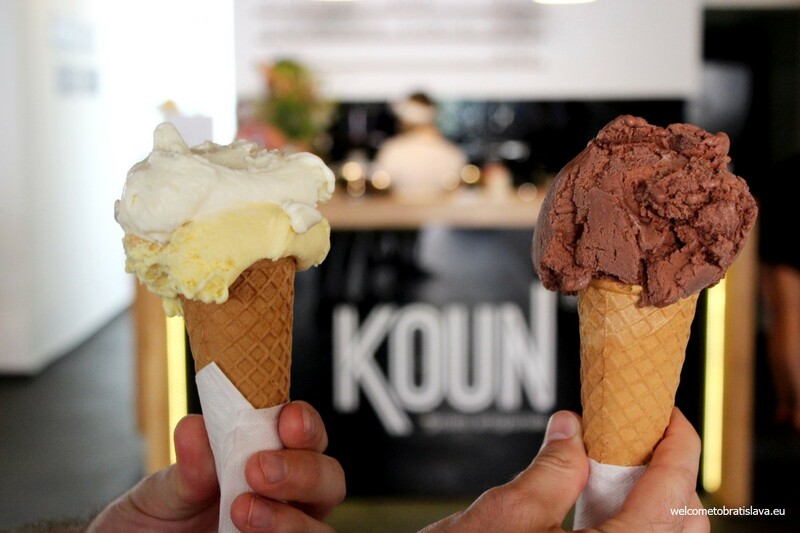 I’d say this cafe makes ice cream just a bit better than Koun (and my office is opposite Koun). Certainly beats standing in line for twenty minutes or half an hour. I’m looking forward to trying Woow. I’m surprised at your positive review of Lucullus as it seems to me they are making the powdered standard ice cream that all the second rate vendors in Bratislava use (there must be some franchise on crap ice cream here as until the cafe at Eurovea showed up, there was only horrible synthetic ice cream in this town). Hi Alec, yes i know about that place in Eurovea and plan to include it here as well, thanks!